3/4 in. 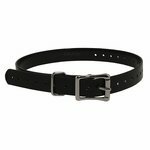 Universal Roller / Double Buckle Replacement Collar Straps. $6.99. Would like a snap loop to make it easier to put on my Q5 vest. But it's a nice to have. It is great. Thank you. I will be ordering more in the future. They were a perfect replacement for the system I have and were less than half the price. 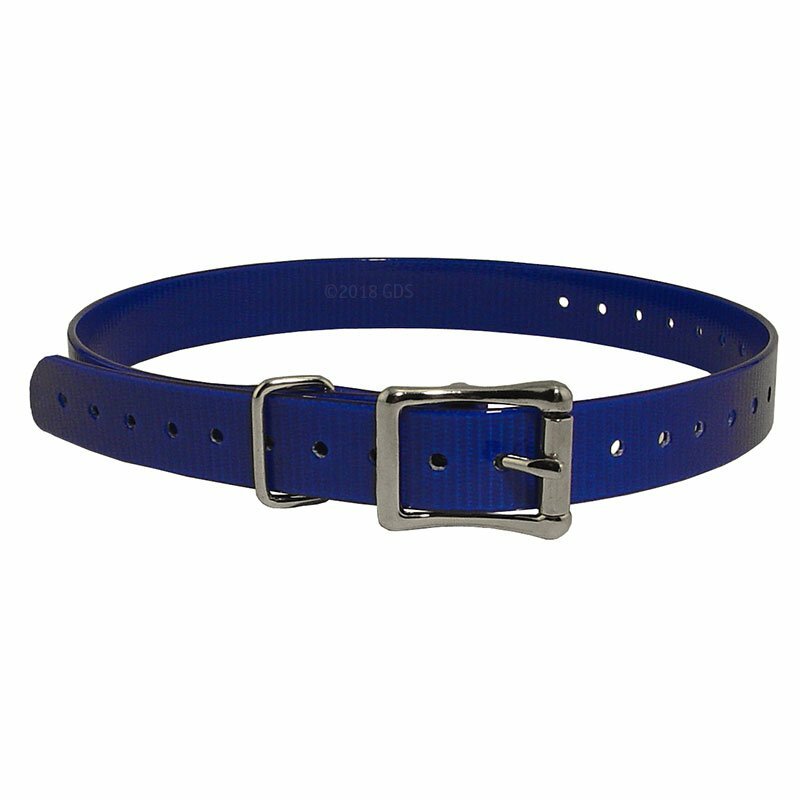 Works great as a replacement collar for my Dogtra e collar, and is long enough to use as a belly collar. "High quality products at a very reasonable price." The replacement collar was really easy to replace. I have ordered several items from Gun Dog Supply. Steve always leaves a personal reply thanking you for your order. Very fast shipment. I highly recommend them. High quality products at a very reasonable price. Thanks Steve! "It did what I wanted and did it well." It did what I wanted and did it well. Looks good at a fair price. Not as stiff as the one provided with the sport dog collar. Much easier to use. 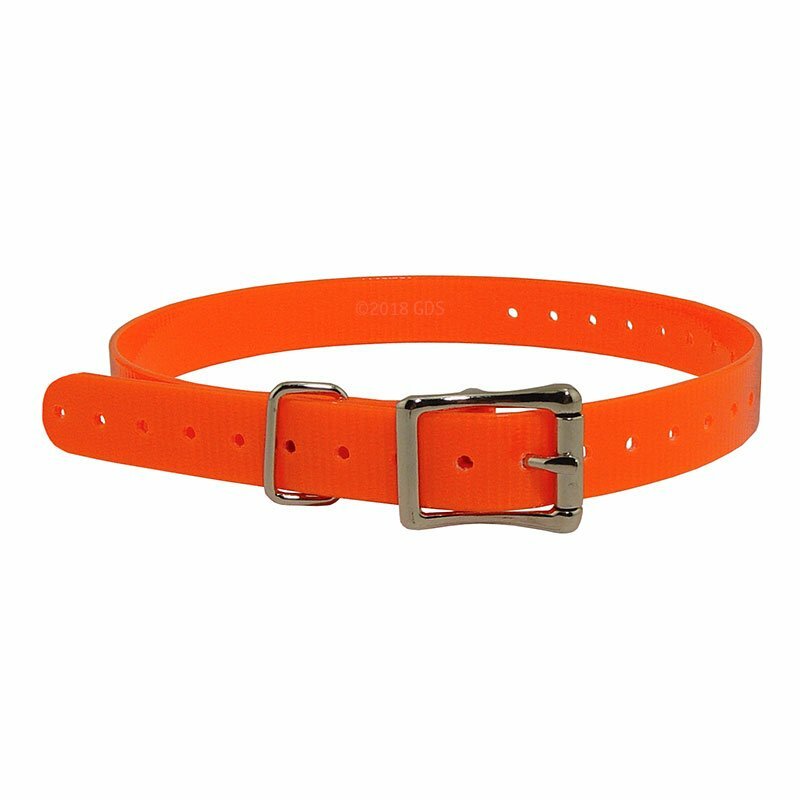 "This is the best quality collar for hunting in your inventory." This is the best quality collar for hunting in your inventory. Made to last in the real world. "Always great doing business with y'all." Always great doing business with y'all. My daughter requested a purple one. Lol. They are great! Use them on our Lion dogs (hounds) and have used them on the hold up cattle dogs. Love them. Super quick delivery as well! "They are worn every day by my dogs as replacement collars on their sportdog transmitter units." They are worn every day by my dogs as replacement collars on their sportdog transmitter units. They last about 2 years or so before I have to replace them again. They take a lot of abuse from the constant brush running and digging etc. 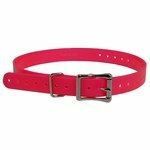 "I was thrilled to find a hot pink 3/4 inch collar to replace the black one that comes standard with the remote trainer." Chesapeake and Chinook mutt. Family pet. My Chinook mutt is female, but everyone assumes she's male because of her size. 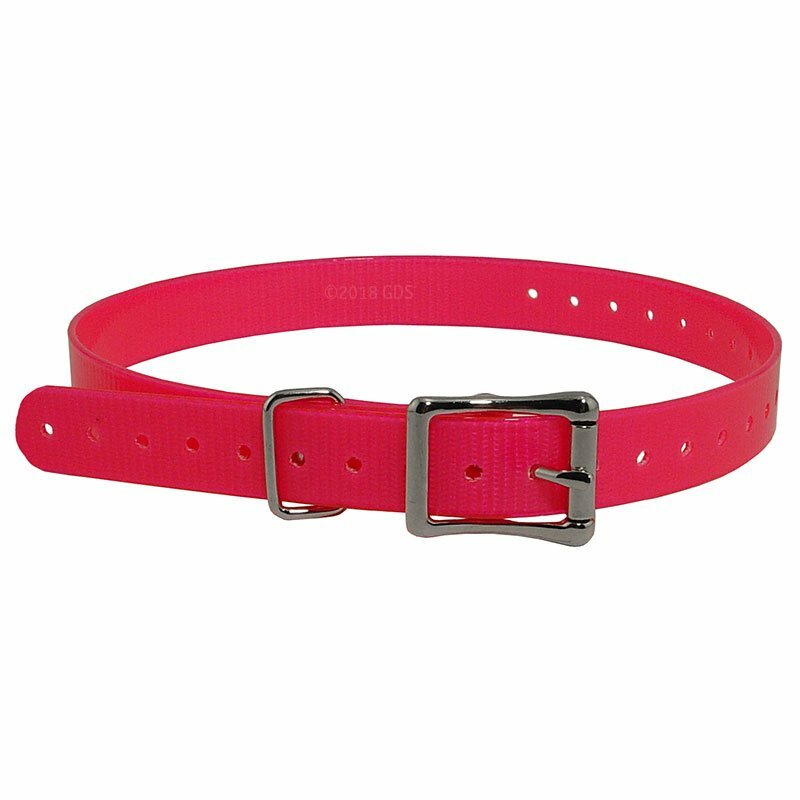 I was thrilled to find a hot pink 3/4 inch collar to replace the black one that comes standard with the remote trainer. It serves double duty for breast cancer awareness; my Chessie got a lime green for Lymphoma awareness. These collars seem more flexible than the ones that came with the device. "Fits all my different bark collars." They are great. Nice colors. 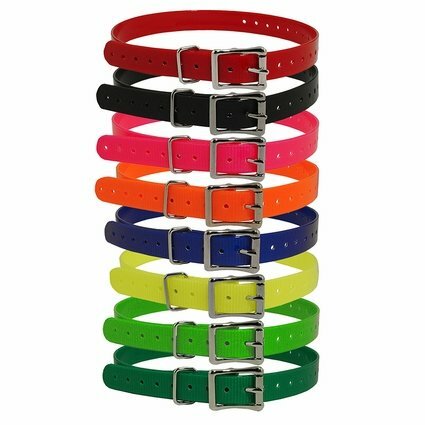 Fits all my different bark collars. "Perfect fit for my SportDOG receiver." Perfect fit for my SportDOG receiver. "Had a better selection and price than the manufacturer did." Had a better selection and price than the manufacturer did. Quick to ship as well. English Bull Terrier. Family pet. Great place to shop! Fast shipping. 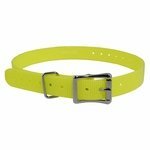 "Awesome collar and great customer service!" Awesome collar and great customer service! Got this to identify my second dog's SportDog electric collar. Love the color selection! My girl now has a pink collar, and it's nice to be able to know which collar is which when they are both off the dogs. Collar is very durable and waterproof, which is nice because my retriever is prone to hot spots that form under normal collars. I trimmed the extra length off the collar, and it works perfect for her now. 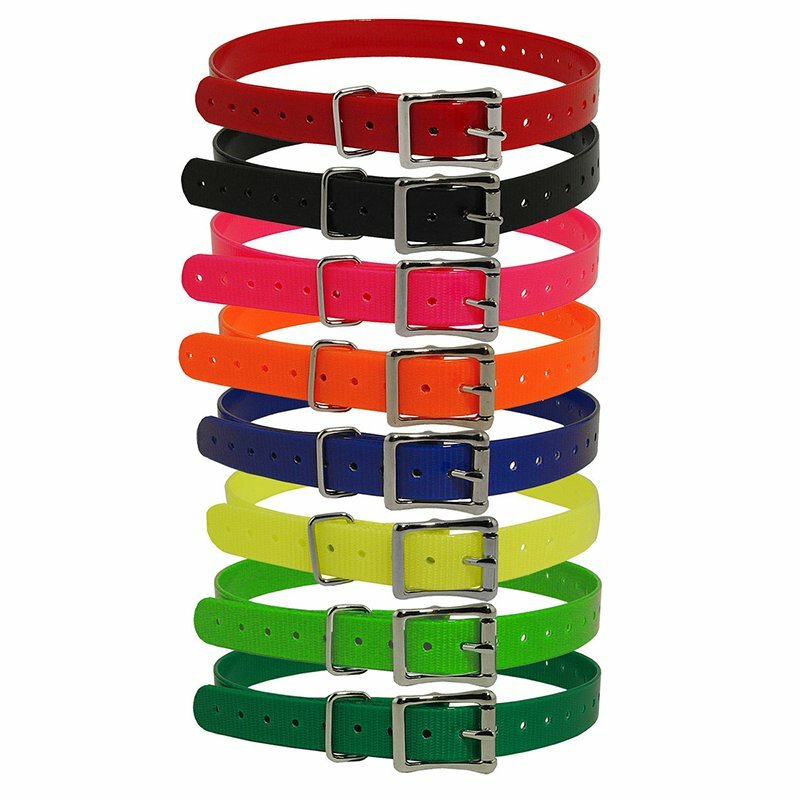 We also use the K-9 Komfort TufFlex collars and leashes, and love those too! You can't go wrong with K-9 Komfort or gundogsupply.com! "Great product, great service, great company!" Exactly what I was looking for! Great quality and super easy to wipe clean! I ordered two collars in two different colors, and everything is in excellent shape. And the order delivered promptly. Thanks, Don. "My item was shipped fast. Thank you." My item was shipped fast. Thank you. "This collar fits the training box perfectly." This collar fits the training box perfectly. The material is a bit stiff, but will break in with use. I love the bright pink color too! Fast delivery, and as always excellent service. This strap works pretty well. 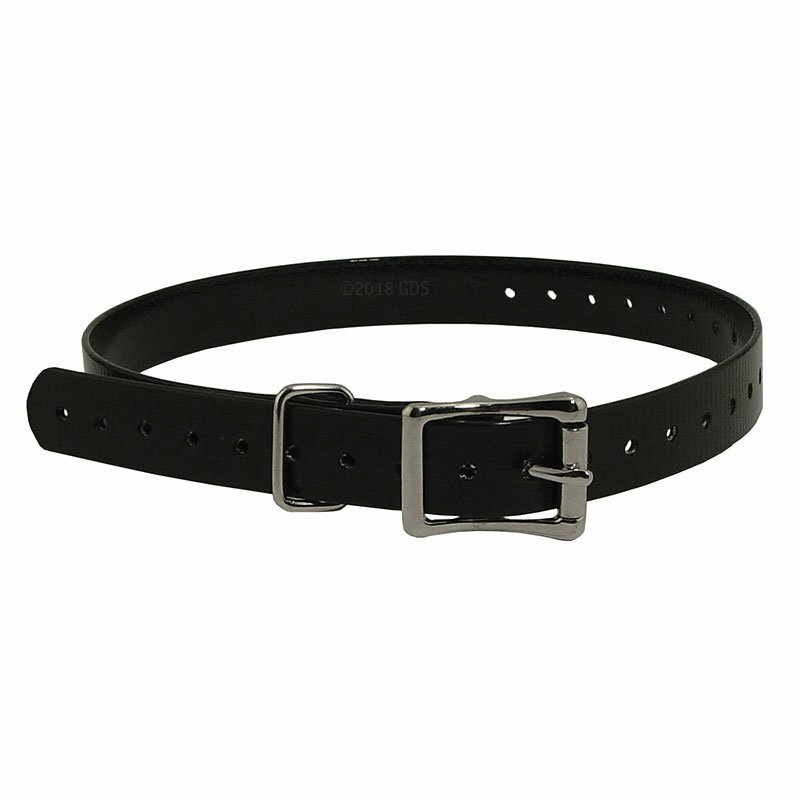 I tend to like a little heavier wider strap, because they are easier to buckle. "Excellent quality design, material and workmanship." Excellent quality design, material and workmanship. But it is a typical semi-flexible solid plastic item which is stiff, unyielding, and difficult to work with as compared with a soft woven fabric strap like many dog collars are made of. P.S. The on line (phone) customer service was EXCELLENT. I find them to be stiff and hard to thread through. I also do not like the fact that a leash cannot be used with them. The material the collar is made of is great and it fits my Garmin Sport Pro just like the original collar, however the buckle is not what I thought it was going to be. It's cheap looking and not very well constructed in my opinion, it gets the job done but when compared to the original collar that comes with the e-collar it looks cheap and like it might break after some time. I still have yet to receive it from when I ordered at the end of November. I will not be using this site again. Overall length is 27" and comes in eight colors. 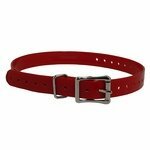 Replacement 3/4" roller buckle collar straps for your dog training collar. Available in Red, Black, Pink, Orange, Blue, Yellow, Light Green, and Green.